Where is that image from, if I may ask? A video game? Official artwork with no clear context? I don’t know; but the VGA resolution suggests a game to me. 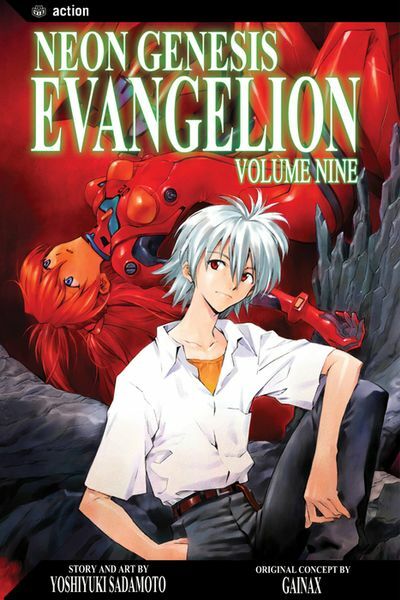 Ok, so I'm looking for images of the all of the NGE Manga covers in a decent resolution. I want to update the pictures on the wiki, so if someone has access to something like that, it would be greatly appreciated. EDIT: Found some high res images in a far corner of the web. 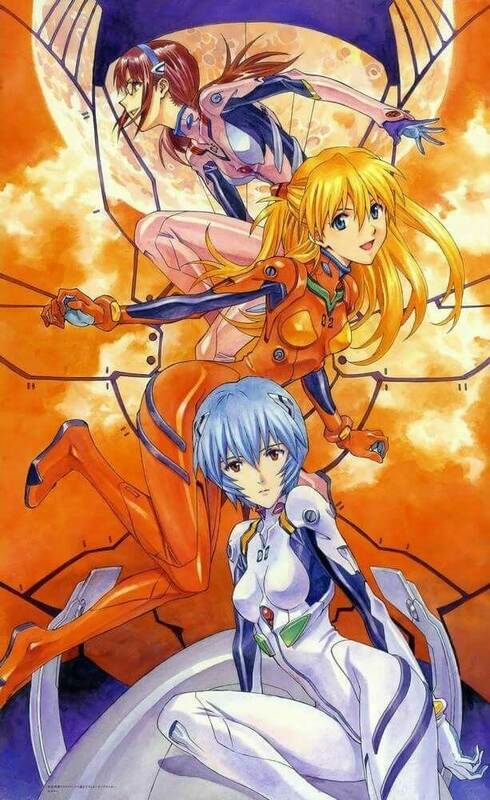 DarkBluePhoenix wrote: Ok, so I'm looking for images of the all of the NGE Manga covers in a decent resolution. I want to update the pictures on the wiki, so if someone has access to something like that, it would be greatly appreciated. DarkBluePhoenix wrote: Thank you very much! Anyone have this in a larger size? Thank you, sir. 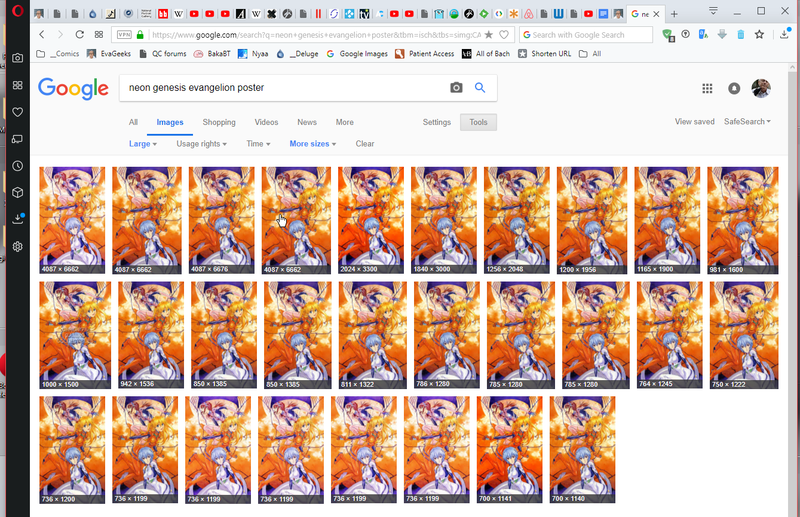 I can see how you have 10,000 EVA pics with search skills like that. Learn about Google Image Search; for greater convenience, also have it available on a right click (that's the FireFox version - I'm using a similar one in Opera). ^ I wonder if we get different search results, seeing as you're in the UK, and I'm in the US. which I wouldn't expect to be less outside the UK! Yeah, I use Chrome, perhaps that's the issue. Opera uses the Chrome engine too, and can share its extensions, so I doubt that's it. Anything Google search related will, of course, be influenced by one's previous search history, espcieally if you're logged in to a Google account at the time. I'm always logged into my google account. It makes logging into websites far more convenient. 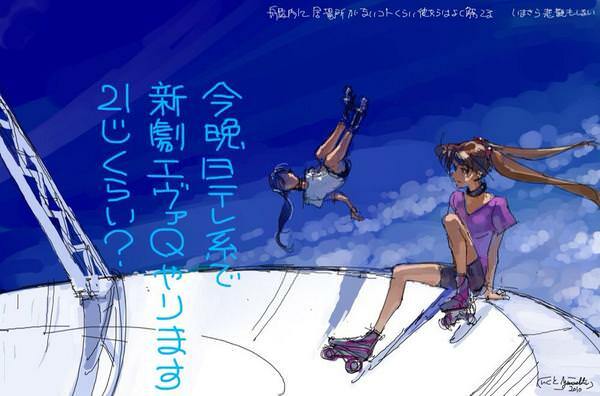 Does anybody have the drawing that Ikuto Yamashita did way before any real info on 3.0 came out of Asuka and Mari skating on what looks like the Wunder? kuribo-04 wrote: Does anybody have the drawing that Ikuto Yamashita did way before any real info on 3.0 came out of Asuka and Mari skating on what looks like the Wunder? It's from 2010. Asuka has the eyepatch on wrong eye. That doesn't really look like an eyepatch to me. At best, it's a 50/50 chance between "eyepatch" and "coloring screw-up".